Christmas is creeping closer whether we like it or not in Sheffield city centre, however the scrooges out there will be pleased to know that in our top five picks of things to do after 5pm in the city, Christmas is still waiting it’s turn. Besides the long-awaited return of THOR’S tipi in the Peace Gardens, find some ‘reyt good film, comedy, art and theatre in Sheffield this week. As part of the touring London Korean Film Festival, see ‘Little Forest’, with introduction from Sheffield Hallam University principle lecturer Dr Chi-Yun Shin. This film takes student Hye-won back to her rural home village and explores how home life helps her to reconnect and slow down. Leave feeling all warm and fuzzy from this guaranteed feel-good film. Tickets here. Comedic and musical wizard Abandoman (aka Rob Broderick) brings his fresh UK tour to The Leadmill this Wednesday, with improvised hilarity galore. Here’s how he described his performance when we caught him for a chat ahead of Wednesday: “The show involves me asking the audience very specific questions to inspire ideas that they can bring to the table, and hip hop songs are then created from what they give me. There’s no pressure to have a big story, small little moments always work brilliantly.” Get your (limited tickets) here. Exploring notions of creation, destruction, rebirth and the soul, students of Sheffield College have collaborated with artist Eelyn Lee to re-present their expansive research on the outer edges of Sheffield, where a derelict Victorian Cemetery meets the River Don. See drawings, prints, photographs, video, sound, text and found objects assembled together with images of monsters and stories of fear to form an exploded map of the River Don. Come along to the free exhibition opening event from 6pm. The canvas tipi is back in the Peace Gardens, and it’s better than ever this year. With new drinks menu and street food from The Gravy Train, warm your cockles at THOR’S this winter. Visit from 22 November right up until New Years’ Eve (excluding Christmas Day). The National Theatre brings this epic and visually daring production of Shakespeare’s most intense tragedy to the Lyceum theatre from 21-24 November. 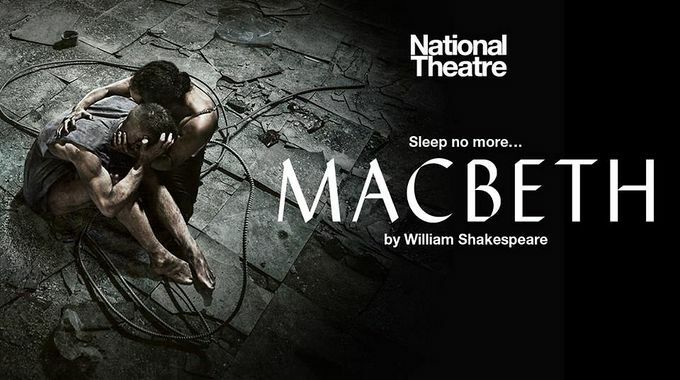 Now in a post-apocalyptic world of anarchy and uncertainty, watch Macbeth use forces of elemental darkness to obtain the crown. Fancy it? Very limited tickets here.